This is the perfect type of mortgage for a family or individual with not much funding or no funding for a deposit as all the funding can come from the lender. A 100% shared ownership mortgage is the process of buying a share of a house with 100% lent funds, So for example if a client were going to buy 25% of a £100,000 house they would be lent £25,000 by your mortgage company. It can be confused easily with staircasing shared ownership as it sounds like the owner is after staircasing their ownership up to 100% but it is just being lent the full amount the buyer is trying to buy. So this allows people with very little money and possibly credit the flexibility to purchase a large share of a property. 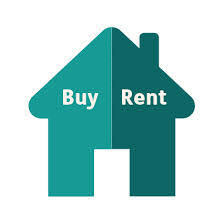 Usually these mortgages are started with a 25% purchase and the rest of the property being rented to the buyer. We are very pleased to have lenders who can offer people with adverse credit or historic bad debts mortgages even up to 100% borrowing which means that people even with only a 5% deposit or indeed no deposit can purchase their own affordable property be it an affordable house or an affordable flat! Lenders for shared ownership have been historically difficult to deal with if clients have bad credit however of late we have managed to secure dozens of mortgages for our clients with minor adverse, medium adverse or even major adverse credit situations – these circumstances obviously bring tiered interest rates dependant on the level of bad debt that is found on applicants Experian credit report, Equifax credit report or indeed Call Credit report.